Pretty Neat Organizer: Beds in front of the Window? The new husband and I are already bickering in that old-married-couple way about furniture placement. I think the bed is the most obvious focal point in the bedroom, and I want it to be the first thing you see. In the guest room, the best placement of the bed is under the window, but the husband is worried about blocking the light and the general awkwardness of the configuration. I found some images to convince him otherwise. 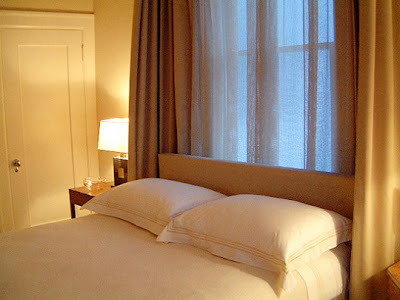 Michael Merrill used a minimal headboard and extended the drapes around the bed for a dramatic effect. Bedroom by Michael Graydon. 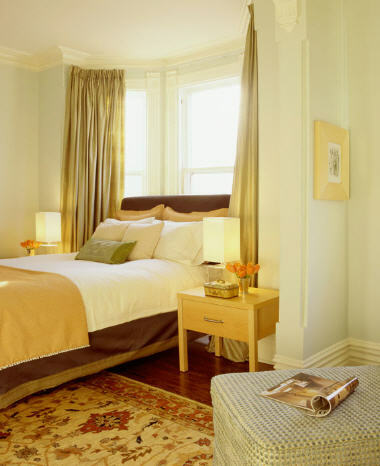 The bay window is the perfect nook for the bed. I suppose there are several good reasons not to do this. If you have old, drafty windows, you can catch a nasty head cold. 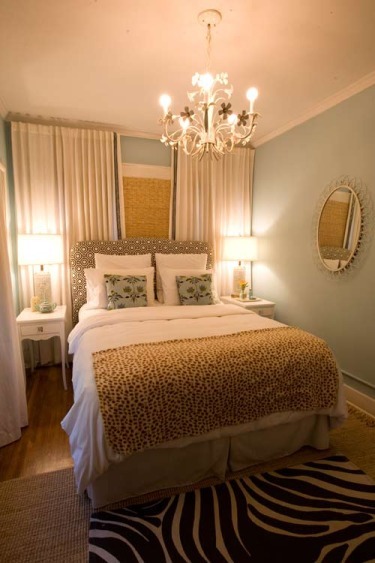 A headboard would be mandatory if you want to sit up and read in bead. Also, closing and opening the drapes can be a drag if you need to stand on the bed to do so. Our room is a rarely used guest room, and the windows are dual paned, so I'm going to place the bed in front of the window and ask for forgiveness later. Windows play an important role in the overall value of the house. Even if you have simple and plain walls won’t make much difference but sophisticated windows gives an amazing look to the interior of the house.